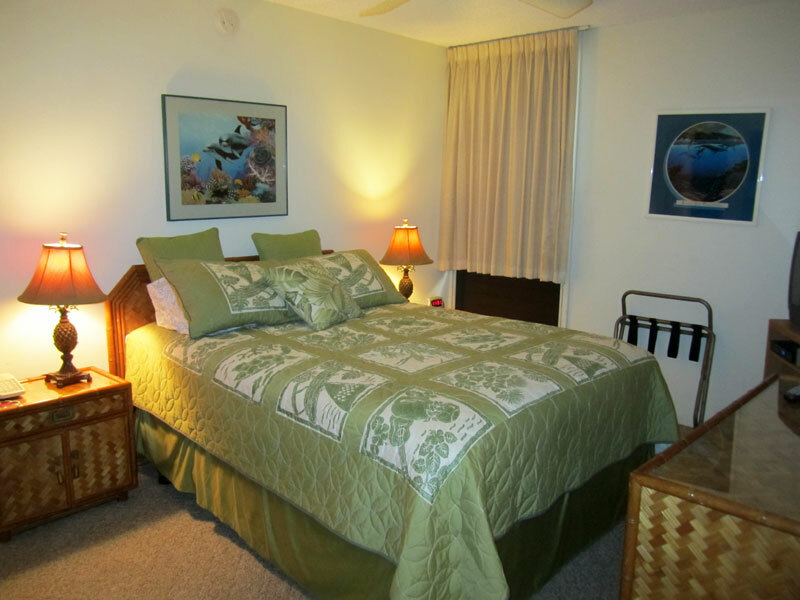 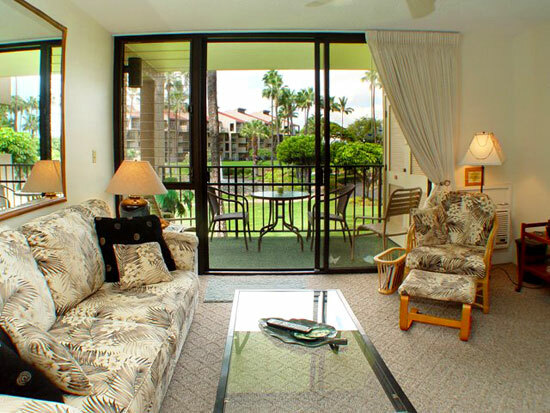 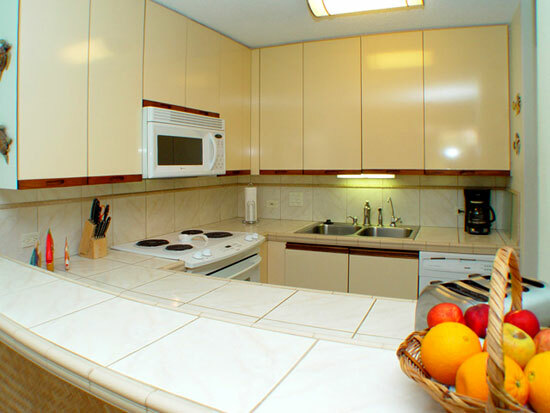 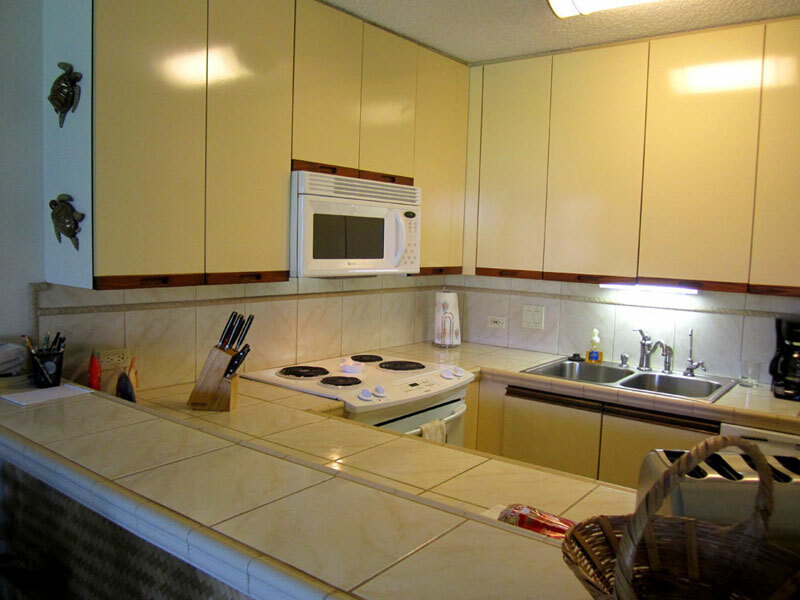 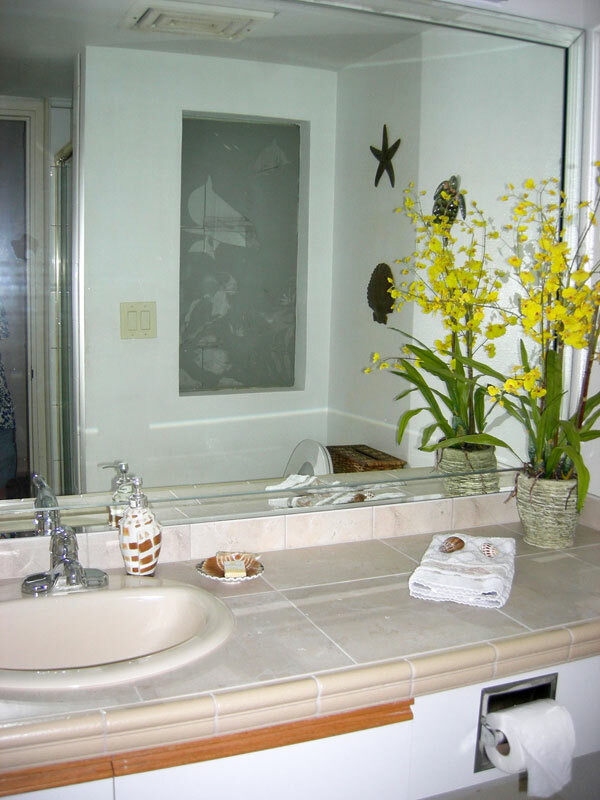 Our upgraded vacation condo for rent at the Kamaole Sands resort in sunny south Kihei, Maui includes a fully equipped kitchen with new appliances, and filtered drinking water. 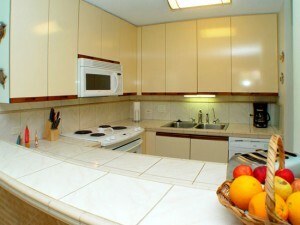 Also includes a washer and dryer, room a/c and ceiling fans in the living room and bedroom. 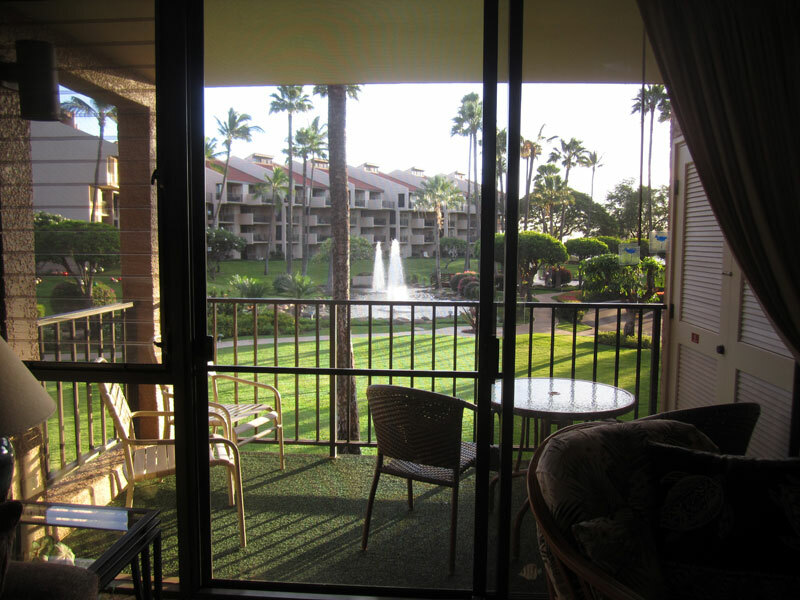 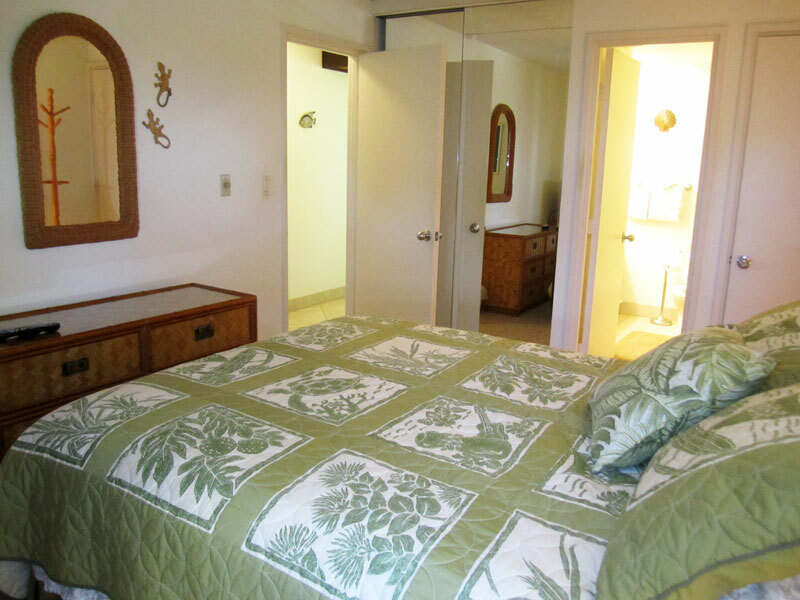 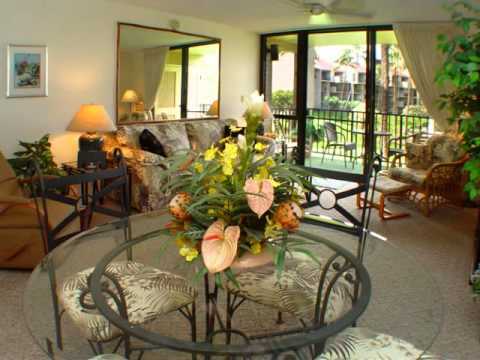 A One bedroom/two bath spacious unit in building one sleeps 3, located on the inner court and offers a partial ocean view overlooking the fountains and gardens towards the islands of Molikini and Kahoolawe. Close to the office and tennis courts. 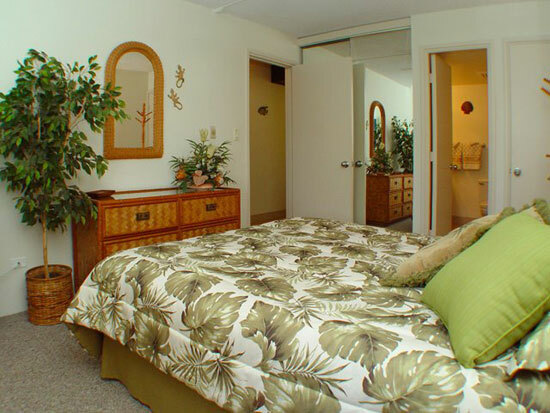 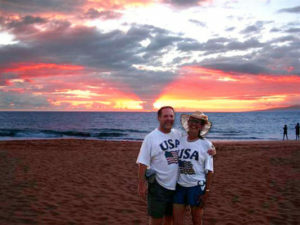 Located directly across from Kamaole Beach Park III, one of Maui’s best family beaches, with picnic and play areas. Resort amenities include a large pool, 2 Jacuzzis, a kiddie wading pool, snack bar, tennis courts and barbecue areas on Kamaole Sand’s beautifully manicured grounds. 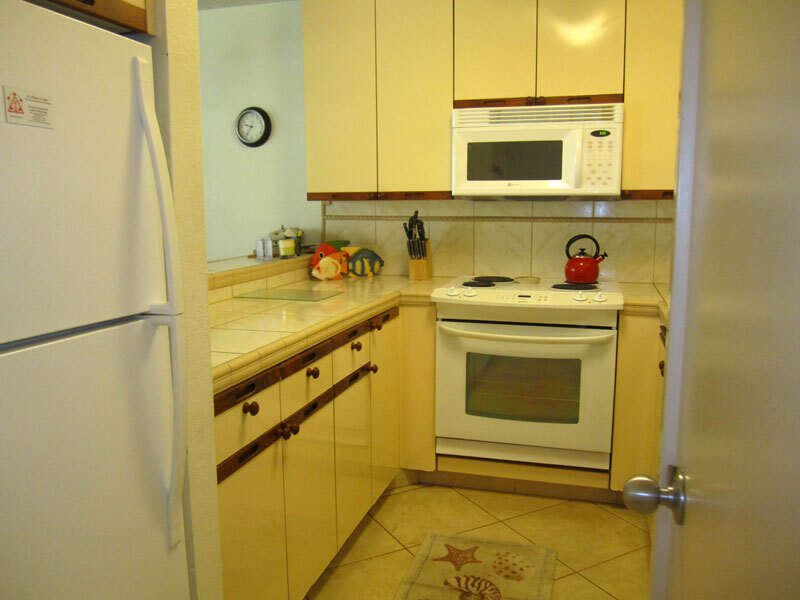 New floor tile in the hall, kitchen and bathrooms. 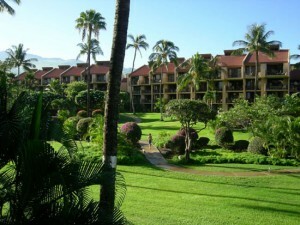 Every Wednesday a free Mai Tai party at poolside with live entertainment and often will include hula dancers. 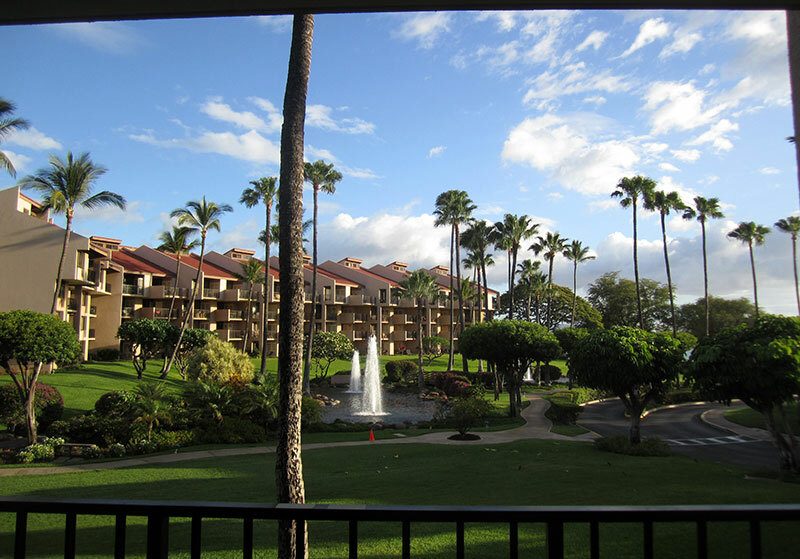 Winter months may also include a large group of Ukulele players.